We are a family-owned business that is committed to providing a quality product and exceptional service to our customers. We aren’t happy until you are. We work very hard to be the best in the shed industry. That means giving our customers an exceptional shed that is built using only high-quality materials with workmanship that is 2nd to none. 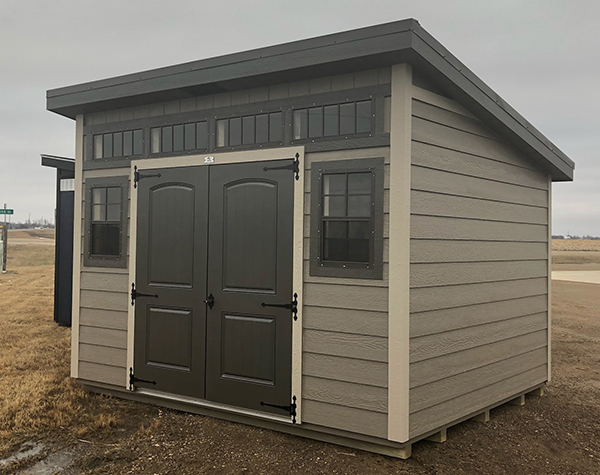 We believe your storage shed should be a long-term investment that will enhance your property value for years to come. 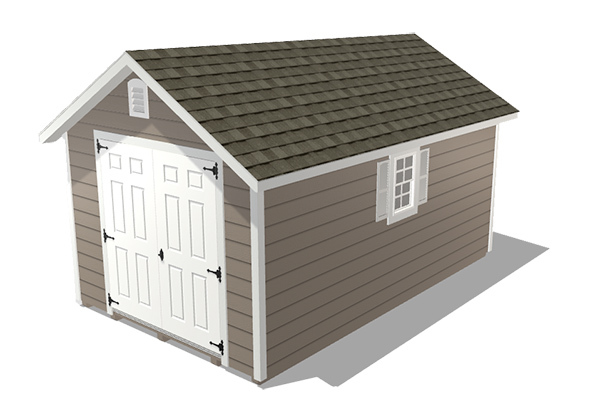 So, we don’t compromise on detail to ensure that you get the quality storage shed you deserve. If there is ever an issue, we promise that we are only a phone call or email away. 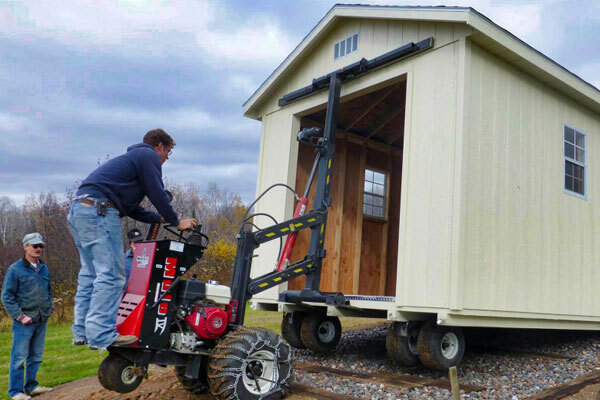 Our shed delivery service will put your shed right where you want it using the Shed Mule. We work hard to ensure a quality shed installation. 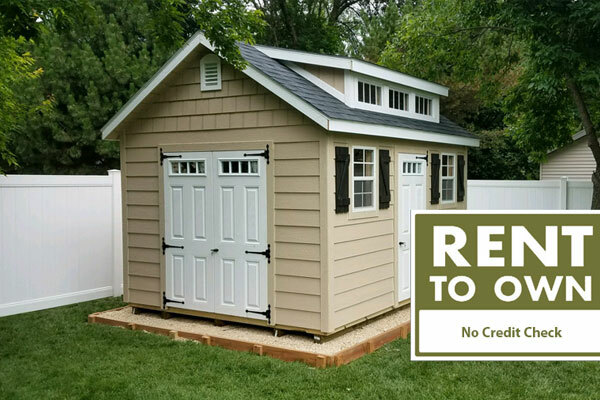 Craft your own shed masterpiece with our 3D shed customizer. We will build it to your specifications. It really is that simple. Purchased a 16×40 garage in the fall of 2018 and am very proud of the workmanship that Northland sheds done. I had it spray foamed and have a nice heated garage to work on my Harley in the winter. Thank you from a happy customer !!!! My shed turned out as ordered and the workmanship looks to be very good. Thanks for the straight forward business transaction and good communication. This is the building we purchased out of Le Mars. The entire process was very professional. 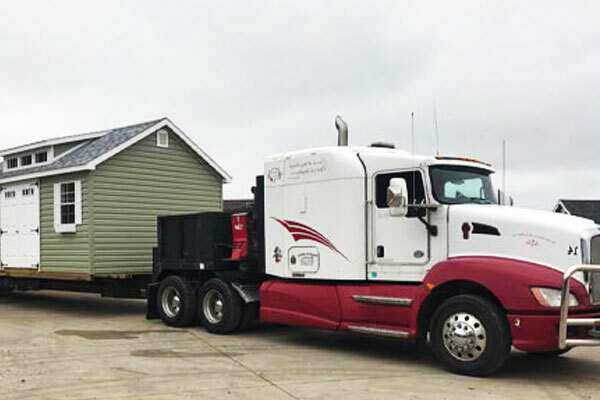 The driver showed up on time, took great care on moving the shed to the concrete pad and made sure we were happy with everything. 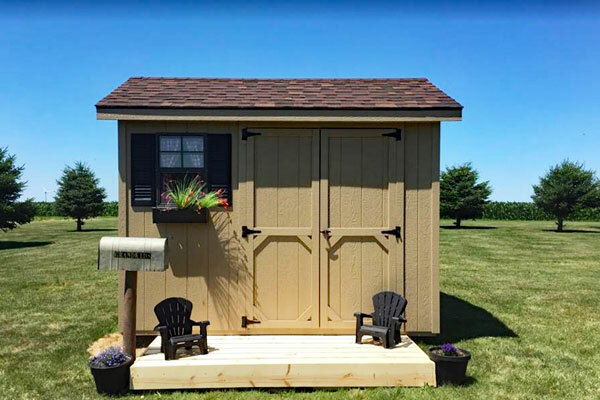 It is a well built shed and great customer service. We even received a jar of cherry jelly. I would recommend them to everyone. We love our shed. It was a first time design for Northland Sheds, but our vision of openness and light along with plenty of wall storage and lofts was understood and completed over the phone. It has double dormers and double lofts with no wall windows, a great structure for lots of storage everywhere and no electricity needed because the light flows in through the windows from two directions overhead. They took many phones calls without complaint guiding us from the ground prep to delivery, plus their online site gave us great information too. The delivery was so smooth and fun to watch. We couldn’t wait for it to be set down to get in and use all its space. We figured it would be useful but it’s beautiful too and had so many comments from others walking by. It truly adds character to our house. Thank you. Happy Thanksgiving to all the employees of Northland Sheds and their families! We are truly very thankful for our family. I am sending a couple pictures of the shed you delivered to me. I skirted it with treated wood and made a step for the service door which I did not have in place when the first picture was taken. I did add a couple of antlers above the two windows which my wife suggested. The skirting is not painted as the paint does not stick very well on treated wood. Thanks for the great shed! Your Northland team hit it out of the ballpark with customer service! It was a pleasure to do business with you and I LOVE my shed! The shed arrived and we were just thrilled to see the high quality of workmanship. It was built exact to our order. Naomi answered every question and kept us abreast of pricing and the manufacturing process. They made special accommodations to deliver ahead of schedule. The delivery process was fun to watch. They placed it in our back yard and leveled it. There was no damage to our lawn. We love it and so do the neighbors. The whole staff at Northland Sheds did an amazing job. 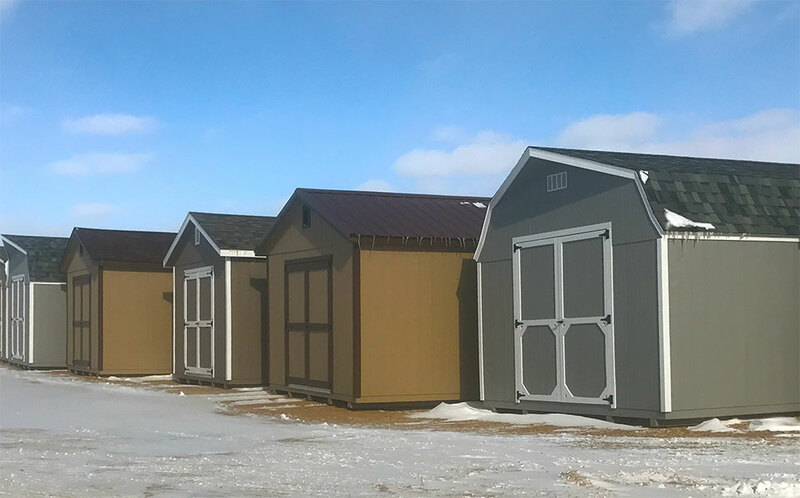 Why Choose Rent to Own Storage Buildings? 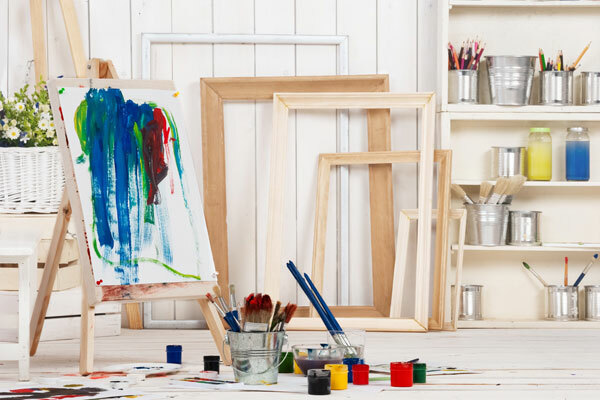 Rent-to-Own is a great option for individuals who are needing more storage space and are considering renting a storage unit. Instead of paying for storage away from your home, why not rent a building in your own backyard and own it after 36 months? Rent to Own Not Available in Minnesota. Contact us for more options.